On Wednesday, February 13th, the biggest names in athletics will return to Athlone Institute of Technology to compete in its sixth International Grand Prix. World Indoor silver medallist Su Bingtian will be headlining the event alongside Olympic champion pole-vaulter Thiago Braz and former European Champion and current World Indoor medallist Marcin Lewandowski. European medallist Ciara Mageean, who narrowly missed out on a bronze medal in the European Championships in Berlin, will take on Olympian Genevieve LaCaze, Romania’s Claudia Bobocea, Irish athlete Sarah Healy and others in the women’s 1500 meter. Rising talent Sarah Healy stormed the European Athletics U18 Championships 3000m in 2018 and previously smashed Ciara Mageean’s Irish senior girls 1500m record with a time of 4:18.32 at the All-Ireland schools track and field championships. In 2017, Olympic Champion Sally Pearson used the competition as a springboard to relaunch her career after a serious injury. While the Australian athlete only came in third (after Christina Manning’s stunning 7.8 victory - a stadium and an all-comers record), she did progress to the World Outdoor Championships in London where she later claimed gold. Witness world-class athletes in action as they battle it out to break records, set personal bests and prepare for Tokyo 2020. 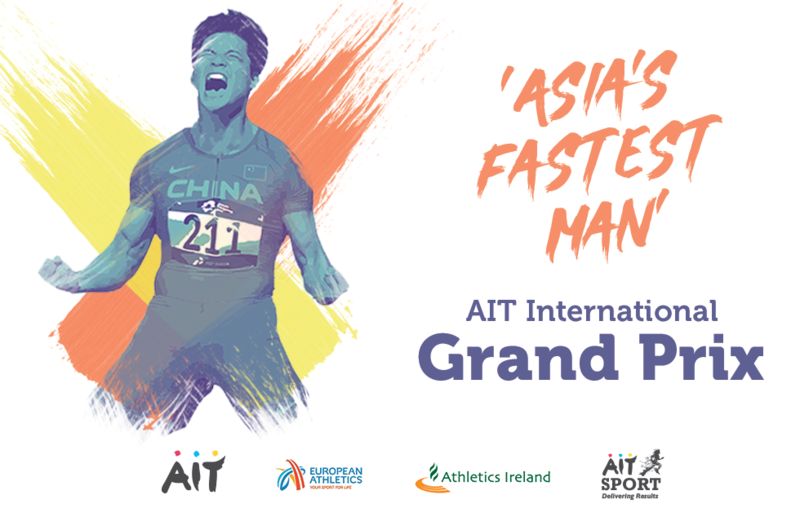 The biggest event in Ireland’s athletics calendar, the AIT International Grand Prix is a premier athletics spectacular not to be missed. Tickets are on sale now!